Charles Carlini recently hosted a splendid party in celebration of Candido Camero’s eighty-second birthday at Birdland in New York City. It is a testament to the great percussionist’s popularity that well-wishers had to be turned away for the first set. One of LP’s greatest and earliest supporters, Candido joined the endorsement roster in the 1960’s when I met him in Puerto Rico. 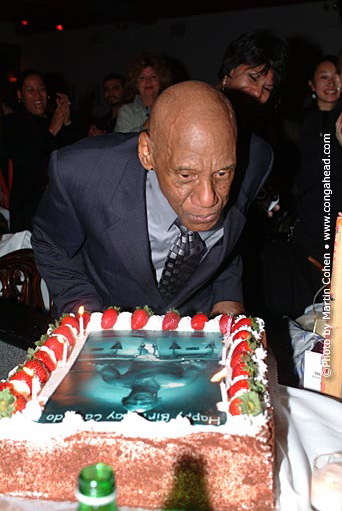 Cathy Herrara, LP Artist Relations Rep., along with LP’s Webmaster, Marcia Stevenson, chose a photo, from the LP archives, of Candido at the age of sixty for the birthday cake. 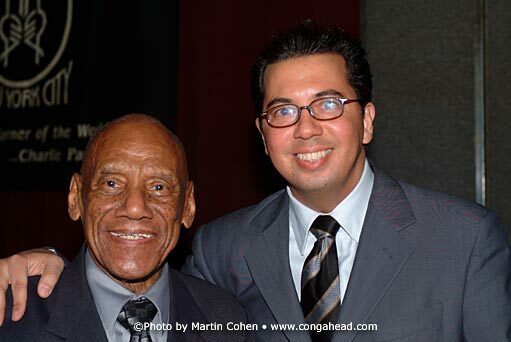 Candido performed a rousing set with Bobby Sanabria’s band to the delight of many legendary performers who were in attendance including Chico Hamilton, Dr. Billy Taylor, Patato, Graciela, Larry Harlow and Ray Barretto. We are all looking forward to the eighty-third birthday party.